Inhambane, Mozambique is undoubtedly a diver’s paradise, but here is so much other adventuring to do besides scuba diving. And what better base than the sublime Sava Dunes? 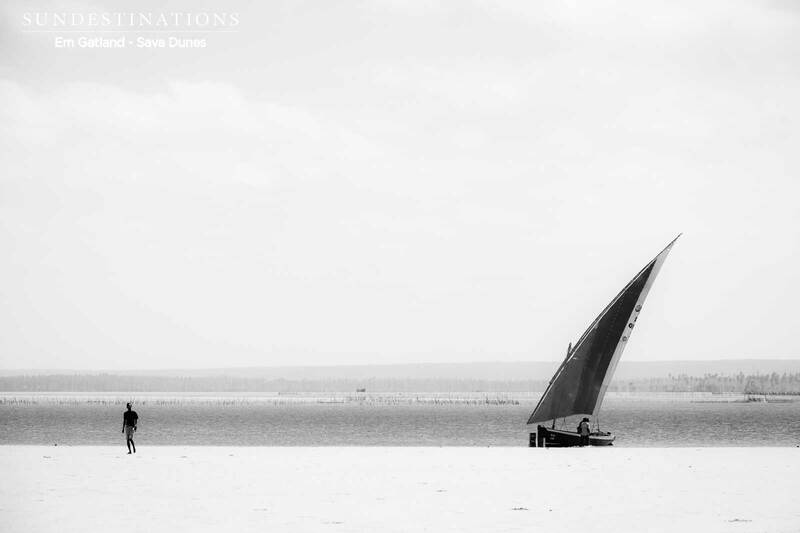 For a sun-soaked Mozambican adventure with a touch of luxury, Sava Dunes in Inhambane is just the ticket. 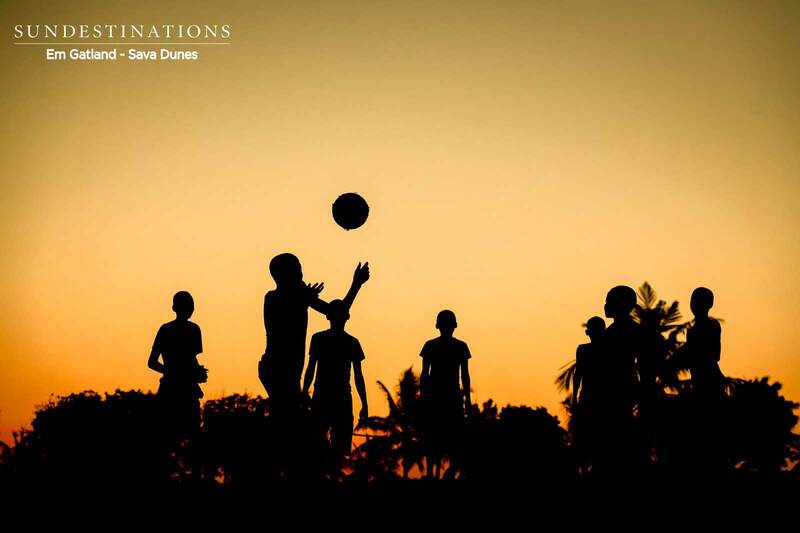 Arriving at Sun Destinations latest offering in southern Mozambique, you’d be forgiven for never wanting to leave the lavish confines of Sava. A classic rum&raspberry cocktail or a cold 2M at the lodge’s in-pool bar, anyone? However, if you can manage to part with the hammock on your room’s private ocean-facing deck for a few hours, there are many adventures to be had in this part of the world. Unqualified for a scuba dive? No sweat. Grab a mask, snorkel and fins and head to the neighbouring estuary or any of the world-renowned reefs dotting this immaculate piece of coast and dive in. The water is warm throughout the year, so no wetsuit required. Snorkellers are privy to nearly as much marine life as scuba divers are, and you can look forward to a smorgasbord of species including various octopus, eels, turtles, lobsters, starfish and even rays, plus a host of other colourful critters that call these reefs home. Look out for parrot fish nibbling on coral, the super camouflaged and bottom-dwelling frogfish, the spiny lionfish, and even cute clownfish flitting about their anemones. It’s a whole new world to discover! Tip: download a fish-identifying app, and see how many you can tick off. 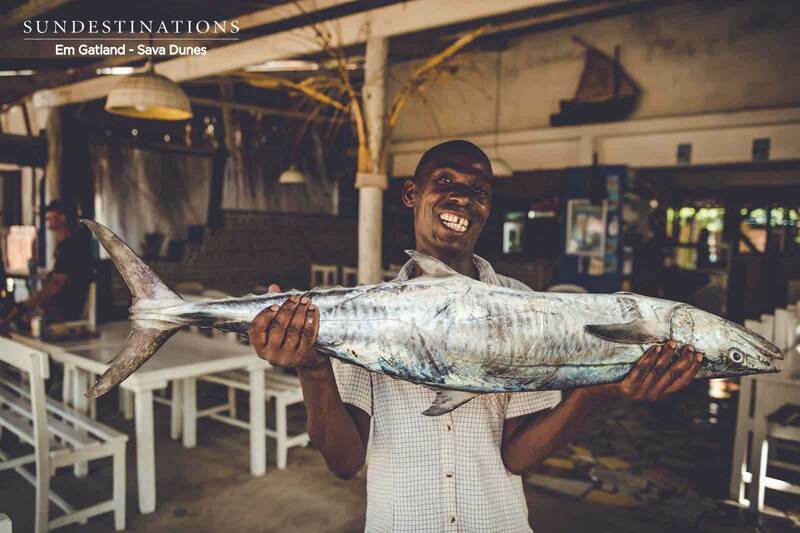 For anglers keen on wetting some line, Inhambane offers some of the best offshore fishing in the world (the folks at Sava will help you organise a charter). Can you imagine wrestling 80 kg of pure muscle, armed with only a rod and reel? If this sounds like your type of adventure, you’re in for a treat. Yellowfin tuna frequent the waters off Mozambique during certain periods of the year, but even if you don’t land one of these torpedo-shaped monsters, there’s always a chance you get the fierce giant trevally on your hook, or perhaps dorado, wahoo, king mackerel or, if you’re really lucky, even marlin. For something a little less hectic, opt for an ocean safari. On a bad day you’ll see a variety of bottlenose-, common- and even spinner dolphins. 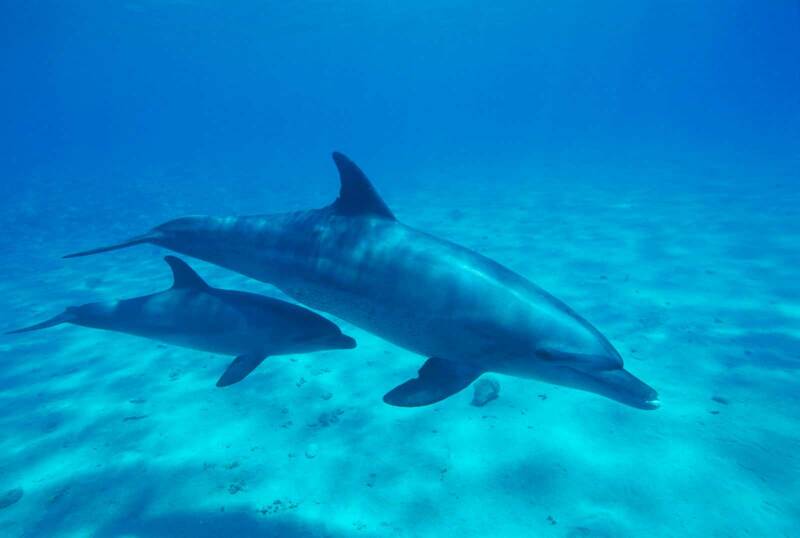 These playful mammals love to frolic around boats – surfing their wake or playing at the prow. On a good day, you’ll see humpback whales, and they might even put up a show of breaching or tail slapping. On a very good day, you’ll see a whale shark. These, the biggest fish in the sea, are also the gentlest, and you might even get to swim alongside them if the skipper agrees. Being in the water with these majestic sharks is truly life-changing. Don’t forget the GoPro! One of the perks of staying at Sava Dunes, though? You have a warm wave right on your doorstep, perfect for bodyboarding and some light surfing. Sava is perched right on top of a dune, and the ocean is a mere stroll away. The endless Barra Beach is a stone’s throw north, while the pristine sands of Tofu is a short 5km drive away. 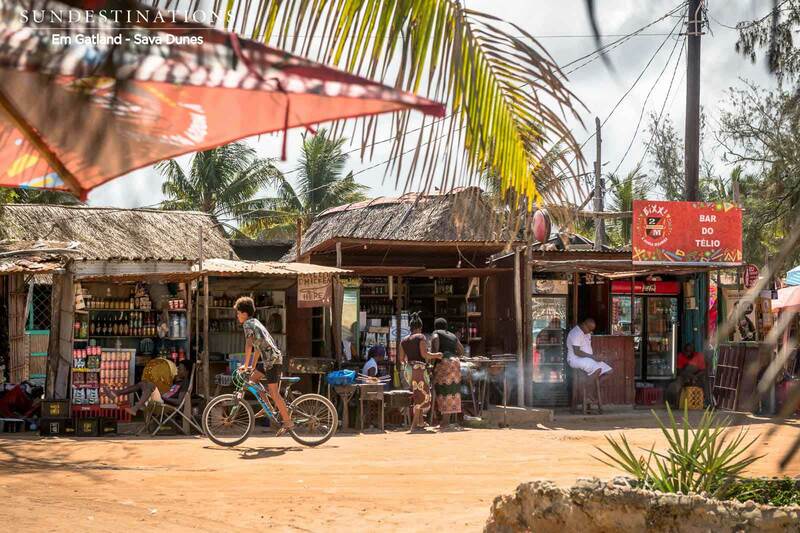 For an adventure of a different kind, make your way to the bustling markets of either Inhambane town or Tofo (go early while the fare is still fresh, especially the seafood stalls!). The pregos will change your life, and the local beer is good, when cold. The prawns are also a must; served with lashings of garlic and doused in pools of fiery peri peri, they will keep you coming back for more. And seek out the nut stalls – you can buy delicious cashew nuts here for a song. It is the ultimate tropical adventure holiday, at a fraction of the price of other Indian Ocean island destinations, and you simply can’t go wrong with the secluded luxury of Sava Dunes. It is an air-conditioned private oasis in a hot, humid patch of paradise, and the perfect base from which to go adventuring in this raw, beautifully wild corner of Africa.